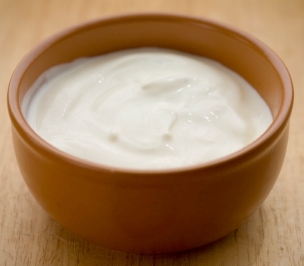 To make yogurt with a yogurt maker, see this recipe. Warm up milk on medium-low until bubbles appear around the edge and steam rises from the surface. Pour into large bowl to cool until temperature hits 110-115º on thermometer or if you don’t have one, do what the locals do: the temperature is correct when your index can stay in the warm milk for ten seconds. Put starter in small bowl, add some of the heated milk and stir until well-blended. Pour small bowl mixture into large bowl a third at a time, making sure to stir and blend well before each addition. End with a final stir, making sure all is well-blended. Cover with a thick towel and keep in a warm place 4-6 hours until set. Refrigerate for 8 hours before serving.